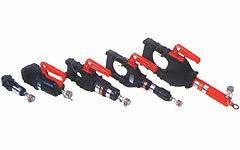 SP-20A Hydraulic Cutters: Izumi Products. 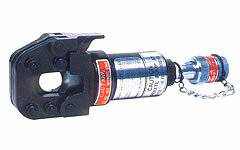 The SP-20A hydraulic cutter head features: Fast cutting with remote operation. It can be operated by any hydraulic pump with rated oil pressure of 700 bar. Equipped with PT 3/8" threaded Izumi high pressure couplers. PT - NPT adapters are available on request for NPT 3/8" threaded couplers. Blades are easily replacable. Flip top latch for easy insertion of cutting material.